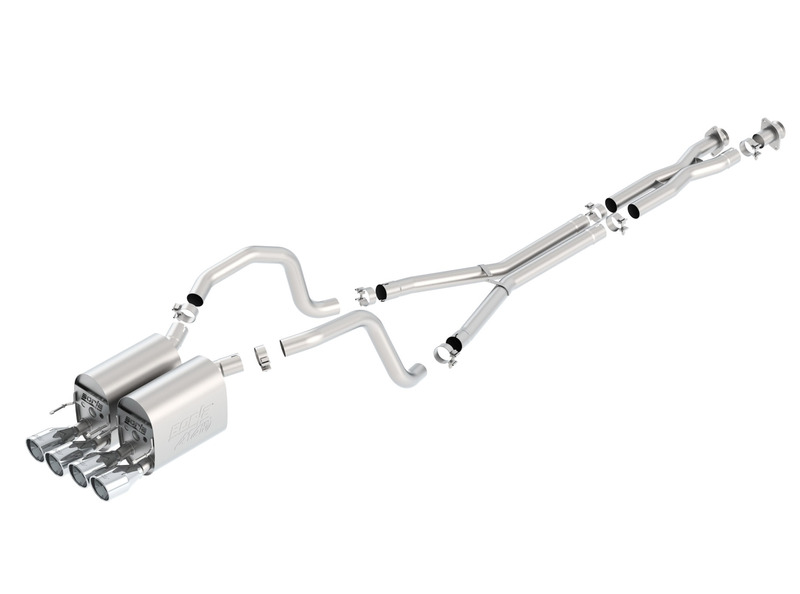 Borla Performance Industries is the pioneer and leader in the design and manufacture of stainless steel performance exhaust. They began three decades ago as a manufacturer of exhaust systems for such classics as Rolls-Royce and Ferrari cars and have evolved into the premier manufacturer of today's performance vehicles for the street, off road and racing. Check out their touring, S-Type and the aggressive Atak series axlebacks and catbacks for your C6 Corvette! All systems are built using the highest quality 304 stainless steel with superior craftsmanship. All systems are tuned specifically for that wicked Borla rumble. Order from Juiced Motorsports and get the best deal anywhere with code VETTE and free shipping. Need yours installed? Give us a call and book your appointment today. Last edited by JUICED1; 02-11-2019 at 10:30 PM. So hard to choose when you can't hear them and pick the one you like.